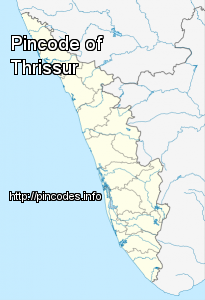 Thrissur �pronunciation� originally Thiru Siva Peroor and previously known by its anglicised form as Trichur, is the fourth largest city, the third largest urban agglomeration in Kerala (Pop. 1,854,783) and the 20th largest in India. It is also the headquarters of the Thrissur District. The City is built around a 65-acre (26�ha) hillock called the Thekkinkadu Maidan which seats the Vadakkumnathan temple. Thrissur was once the capital of the Kingdom of Cochin. It is located 300 kilometres (186�mi) towards north-west of the state capital Thiruvananthapuram. A BJP worker, who suffered injuries in a scuffle with the CPM in Thrissur, died on Sunday. The Thrissur district has recorded 76.11% voter turnout. The elections were held on Nov 5.